A lot of people consider climate change the most important crisis that the world is facing today. But what is it? And why are so many scientists, campaigners and politicians concerned about its effects? It is a complicated issue - but a very important one. When we talk about climate change, we are talking about global changes in the Earth's average temperature. The Earth's average temperature moves up and down naturally, but it has been increasing more rapidly than it usually does. This change is impacting on the planet's environment - which is everything natural around us; rivers, trees, plants, animals... everything! 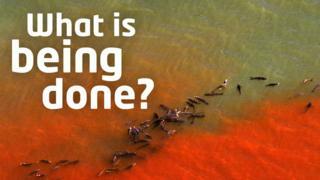 What do Earth's rising temperatures mean? According to data from Nasa, the Earth's average temperature in 2017 was 0.9°C above what it was in the 1880s, when global temperature records began. This might not sound like very much, but even that small change has had a huge impact. Some scientists argue against this data, saying that the Earth has experienced hotter temperatures in the past. But environment advocates say that it is not only the temperature that matters, but the speed at which it is rising. Nasa data found the Earth has experienced seventeen of its eighteen warmest years since 2001. Those records have been going for more than 130 years. Many of the changes to the Earth's climate are caused by human activity - this means things that humans are doing. Burning of oil, coal and gas These resources are called fossil fuels - they are used to power factories, buildings and transportation. When burnt they release harmful amounts of chemicals into the atmosphere. Waste You know what waste is! Deforestation and urbanization Urbanization is when more people start living in cities, and deforestation is when a forest or tree-covered area is turned into something else (for example a farm or space for houses). Population growth This means the growing number of people in the world. Did you know in 1960 there were only 3 billion people in the world, whereas there are currently more than 7 billion people! That's more than double the number of people who need food to eat and places to live. The combined effects of these human-created impacts are thought to be huge. Why is climate change happening now? One of the reasons why many scientists believe that climate change is caused by humans, is because the planet's environment has changed dramatically since an era of history known as the Industrial Revolution. The Industrial Revolution was a period in history when humans started creating factories and machines to make lots of products quickly and cheaply. A 2018 report by an international group of scientists stated that if the planet's temperature goes up by more than 3°C, it could cause huge problems for the planet. Melting ice in places like the Arctic and Antarctic would lead to a rise in the Earth's sea levels. Rising waters means that coastal areas and islands could end up flooded, or even underwater - destroying wildlife and communities. Extreme weather like heatwaves, droughts and storms could happen more often and become more severe. 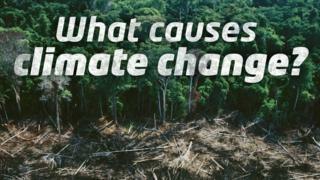 WATCH: Why is climate change a problem? 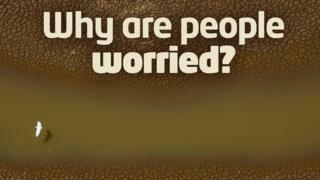 All these problems could have massive effects on people and the world around them. People could be forced to leave their homes, wildlife could be endangered and there could be damage to vital things like land to grow food on. Poorer countries in particular could be more seriously affected, as they do not have the money to deal with rapid changes to their environment. The report encouraged world leaders to make climate change a priority. They want countries to work together to limit the rise in temperature rise to 1.5°C. They believe this could help prevent these potential environmental disasters. There are lots of things that people are doing to help prevent climate change. However, climate scientists say that for serious change to happen, everyone on the planet must try to help. For change to be effective, much of it will be lead by governments and industries. They suggested that these could help halt climate change and limit global temperatures rising to 1.5°C. Some governments and businesses are attempting to become greener, but the IPCC say that change needs to come quicker and it must happen on a big scale for it to be effective. Let us know what you are doing to prevent climate change.